My name is Alex Crawford. I’ve been a magician for over ten years bringing the joy and mystery to all from the UK and abroad. 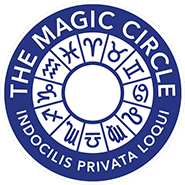 I am a fully insured member of the Magic Circle and Equity Group. My shows involve a mixture of Magic and Mentalism to bring the audience into the entertainment. I cover events such as Birthday Parties, Christenings, Fairs, Conferences, Product Launches, Family Fun days and much more! Whatever your event, if you need an entertainer for the day, then Magic-Al can provide a show for people of all ages! My name is Alex Crawford. I’ve been a magician for over ten years bringing the joy and mystery to all from the UK and abroad.I am a fully insured member of the Magic Circle and Equality Group.My shows involve a mixture of Magic and Mentalism to bring the audience into the entertainment.I cover events such as Birthday Parties, Christenings, Fairs, Conferences, Product Launches, Family Fun days and much more!Whatever your event, if you need an entertainer for the day, then Magic-Al can provide a show for people of all ages! Me and my wife had Alex come and do some close up magic to our wedding guests at our wedding on Saturday 23rd June 18 and everyone said how good he was,even to the point when he went to get some more things out of his car and when he came back everyone cheered him. This guy came to my table at a show in tuxford I tried so hard to see how he did it but couldn't work it out I was stunned great show great performance!!!!!!!!!!! Magic Al is a fantastic act a true professional. 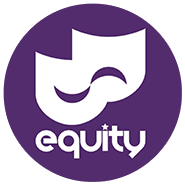 His shows are absolutely fantastic, He is such a nice talented guy who we would highly recommend whether it be a children's party, Wedding, holiday park, basically anything this guy will deliver. We saw Alex perform at a dessert bar, he came to our table and had something to dazzle everyone.... Really genuine guy! Great showman! Found Alex via FB and he was tremendous at my daughters 6th bday party. He kept a group of kids happy and entertained for 2hours throughout. A very professional and talented guy and we will certainly use him again in the future for the kids parties, disco and magic show. Brilliant!! We saw Alex at the Palace Theatre where he performed a close up magic show. He is brilliant! His show was so interactive, he encouraged loads of audience participation whilst completely baffling us with his magic tricks! Highly recommend for adult or children’s parties, you won’t be disappointed! I have worked with Alex on numerous occasions and not only has he bags of personality, making him great fun for both adults and children alike, but he has an endless supply of material....meaning no two parties are ever the same. Most importantly, he always has a truly professional attitude meaning you can book safely assured of a high quality experience! We saw Magic Al at the palace theatre. It was great fun and I simply can't for the life of me figure out how he did the tricks. Absolutely fantastic!!! I'd seen him at a friends christening and had to have him at my sons!!! All the kids loved it, adults too!!! Would definitely recommend to anyone!!!!! Alex provided engaging entertainment for us on our wedding day recently. Our guests were kept happy and amused throughout the day as they thoroughly enjoyed Alex's magic tricks. Alex is friendly, reliable and competitively priced. We wanted our wedding day to be original, fun and memorable. Alex definitely helped us achieve our perfect day! We would recommend him for any special occasion. Incredible person. really fun show can't wait to book him again. Fantastic entertainment from Alex for all occasions . He'll amaze the children and also adults of all ages with his magic . Alex is professional but also great fun and gets everyone involved in his shows . I booked Alex for my daughters 4th birthday party. He entertained the children brilliantly and managed to get all of the parents to join in too. I would definitely recommend him. I've known Alex for years now, he recently performed at a friends wedding going around each table he was brilliant from start to finish and had us all wondering how some of the tricks worked and the kids loved it, I would recommend him for any event. Cheers again. I would highly recommend Alex for all occasions and ages. When he did parties for my two nieces he was really entertaining, professional and great fun. His party games, music and magic ensured a good time was had by all. Had al at our wedding really enjoyed his tricks they were faultless . Very friendly man and has a cracking sense of humour. Would highly recommend.